When organizational change initiatives fail, can you point the finger of blame at anyone in particular? Yes, say the change management consulting experts. Often the fault is with the leader. 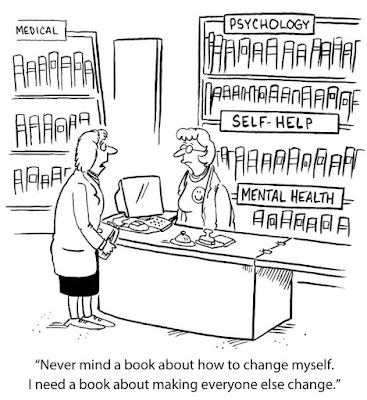 Like the cartoon above, many leaders of change fail to understand that they themselves will also need to fully accept and adopt the change they advocate. This can be easier said than done. Leaders are naturally optimistic. They have been successful and have earned their authority. As a result, they may underestimate how difficult change can be. They cannot just rely on the power of their personality to persuade stakeholders of the need for change; they need to take into account that people will naturally resist a shift from the status quo. They need to assess how ready all are—they themselves, their employees and the organization—to undertake the challenges of change. Leaders are used to acting on their own. They should lead the charge but they will have to rely upon others to implement the change. It has to be the leader’s responsibility to monitor the change and continue to inspire the troops. 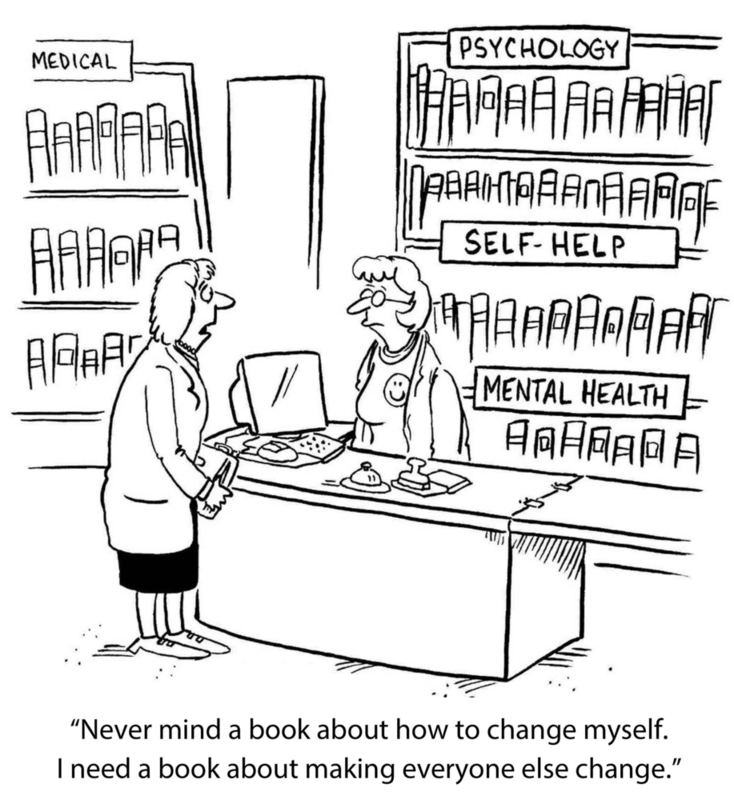 At the same time, leaders should be open to accept some expert advice on how to be successful at change. The best leaders know they cannot foresee all the obstacles and do not have all the answers. Leaders like to define and complete projects on time, on budget and with the right quality deliverables. They are used to creating and implementing smart plans that get results. Organizational change, however, does not always have static boundaries or a finite beginning and end. Today’s organizational leadership needs to understand that change is messy and a constant. Flexible organizations are the ones that survive and thrive. To succeed, companies need to look to the future, anticipate shifts in the marketplace, be ready to adapt as the situations require and keep a steady eye on both short- and long-term goals. This requires agility at all levels of an organization – starting at the top. Leaders find it hard to be patient…they want to see results. But change is slow. Though leaders have been considering change carefully for a long while, they forget that it may come as a surprise to employees. It is important to allow the need for change to sink in with the workforce. Once accepted as necessary, behavior will begin to change…but not overnight.